Students will choose which egg design to color. 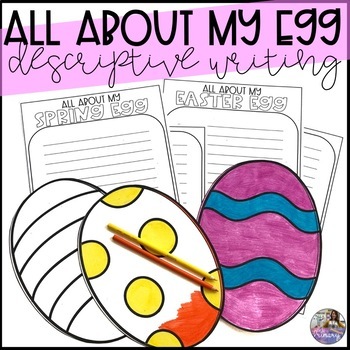 After coloring they can use the All About My Egg page to write about their egg using descriptive words about the design and colors. Click the preview button to see the full product.